It is very easy to take our eyesight for granted, yet it is the sense that we rely on the most. Unfortunately, most of us will find that our vision will deteriorate with age and even if we once had perfect eyesight, we will almost certainly need to use something to help us see clearly as we get older. According to the Vision Council of America, approximately 75% of adults wear some form of vision correction. Of that number, glasses are much more common, with around 64% opting for glasses over contact lenses. If you have never needed an optical device to help you see more clearly before, you will need to decide whether you would prefer to wear contact lenses or glasses. Unsurprisingly, there are advantages and disadvantages to each, and it really is a personal choice as to which is best for you. Some patients even decide that they are going to have both glasses and contacts in their life so that they can switch between the two depending on which best suits their needs. 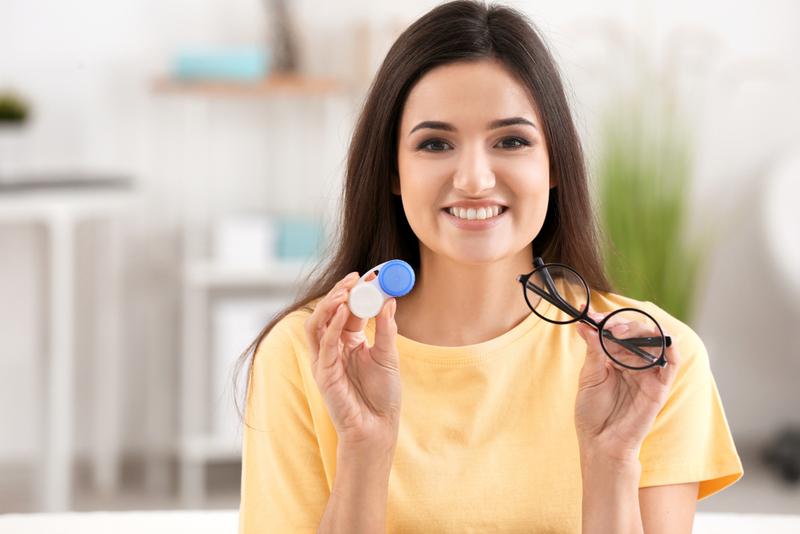 There are a number of differences between prescription glasses and contact lenses and it is important to take these into account when you are deciding which type of visual aid will suit you and your lifestyle best. Here are some of the key things to consider when choosing between glasses and contacts. If you choose daily contact lenses, you will need to sign up to a rolling cost to keep your supply of lenses coming. Although glasses may seem more expensive initially, once you have bought your lenses and frames, there are no ongoing costs. Glasses can prove to be fairly fragile and if you were to drop them, sit on them or they fall off your nose, they could break and require fixing or even replacement. In contrast, although contact lenses are fragile they cannot break in the same way. Many people are quite squeamish about the thought of touching their eyes to put lenses in or take them out. You also run the risk of transmitting bacteria and debris to your eyes if you touch them with hands that aren’t clean. However, when you choose glasses there is no need for you to put your fingers into your eyes. UV light can damage your eyes as well as your skin. Fortunately, glasses can adjust the amount of light entering your eyes and some types of lenses can protect your eyes from sunlight damage. One of the most commonly-cited problems with wearing glasses is that you cannot wear them when you are doing certain activities and sports, such as swimming, skiing, football, basketball and more. This is because they could become damaged or they could be forced into your face and hurt you. This means that you may need to consider contacts for these activities or face the possibility of everything being blurry. 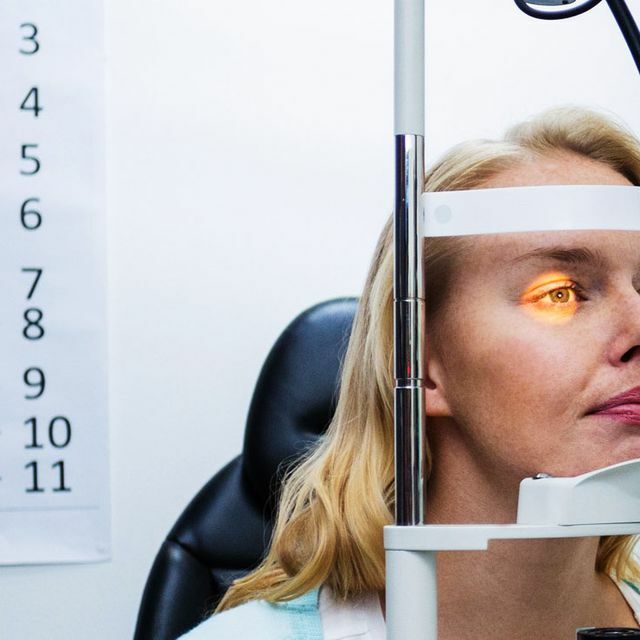 Many people don’t realize that the prescription given to them by their ophthalmologist during their sight test will actually vary depending on whether they are planning on wearing contact lenses or prescription glasses. There is one main reason for this and it is based on the placement of the lenses. When you wear contact lenses, you place them directly onto and over the natural lens of your eye. However, when you choose to rely on prescription glasses to improve your vision, the lenses for these will be placed significantly further forward – approximately 12mm in fact. 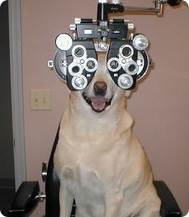 The difference in their position means that the power value that is used to calculate each prescription will vary. If you opt for contact lenses, you will also notice a few additional measurements, and these will refer to the lens diameter and base curve needed to fulfil the prescription. Still confused about whether glasses or contact lenses are the best option for your vision needs? Contact us and speak to our team who will be happy to help you find the most suitable solution for you and your lifestyle.